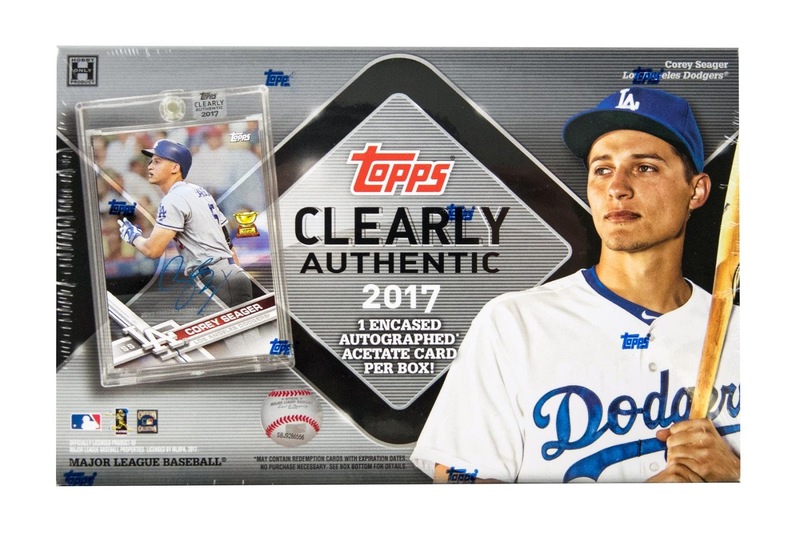 Topps is taking a new product for a spin with 2017 Topps Clearly Authentic Baseball, featuring on-card autographs on acetate in fancy encapsulated holders. As each box only contains one of these signed cards, collectors are banking on unearthing a gem once they get past the plastic wrapping on the box. A majority of the autographed acetate cards are in the design of 2017 Topps with new pictures from the base set. 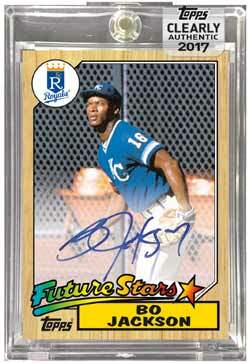 To up the ante for collectors, Topps has added four colored parallels (Green, Red, Blue, and Gold) to track down. For those who are searching for a vintage touch, Topps has created Clearly Authentic reprints of major rookie cards, including those of Al Kaline, Hank Aaron, Bo Jackson, Ichiro, Mike Trout, and Sandy Koufax. These autographs are markedly scarce compared to their modern counterparts in the set, coming at the rate of one for every 10 boxes. As the list of signers is loaded with nubile rookies, the odds are weighted that you are more likely to come away with the likes of Dan Vogelbach, Jharel Cotton, and Jacoby Jones, instead of Bryce Harper, Ichiro, and Mike Trout; however, that should not deter you from checking out this product. 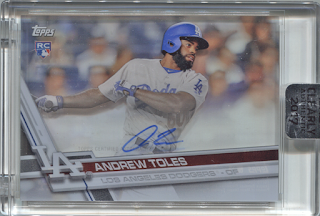 The acetate is an attractive diversion from traditional Topps products, as both the images and signatures stand out against the clear background. The chase of snagging one of the reprinted rookie cards at a fraction of the cost of buying a signed original rookie on the open market is also an exciting play for this product. With any guaranteed hit offering, collectors are taking a risk by hoping that the one card in the box turns out to be a winner. Judging by the overwhelmingly positive response by collectors since its release, signs point to getting a box of 2017 Topps Clearly Authentic is one that is not only worth pursuing, but an enjoyable one at that.